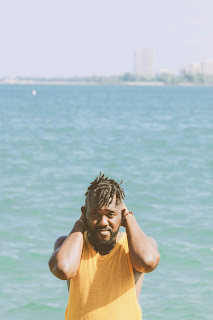 If It's Too Loud...: Mykele Deville featuring Daryn Alexus - "Type Love"
Mykele Deville featuring Daryn Alexus - "Type Love"
The latest single from Chicago's Mykele Deville sounds like something I should hate. It's an uplifting rap song that, according to the press release, "... imagines a world where we are taught to fall in love with ourselves before we fall in love with others." Plus, it's quite heavy in R&B, which I hate in modern rap. The difference is that "Type Love" is a truly great song. Deville has the laid back flow of someone like Snoop Dogg, and "Type Love" has an uplifting, near hippie vibe of Arrested Development. The accompanying video was directed by McKenzie Chinn, and has a message all its own. According to Chinn: " "By using imagery and improvised choreography outside of a traditional narrative, we were able to create a dynamic and expressionistic portrait of black, masculine tenderness and softness - a mode in which black men are not often portrayed, but which is critical to dismantling toxic masculinity and advancing mental wellness for black men.” This are all themes not usually heard in hip hop, but it's about time hip hop caught up to modern America. You can watch the video for "Type Love" below. Mykele Deville's new album, Maintain, will be out February 22 on No Trend Records and can be pre-ordered here. For more on Mykele Deville, check out his website.